Self-lending via credit builder loans has typically been something that small community banks and credit unions handle. However, with the increasing use of the internet to lend and borrow, Fintech startups such as Texas-based Self Lender are increasingly moving into the credit building loan market. So, what are Self Lender reviews saying? And is this the right option for you? Self Lender, Inc. is a new venture capital funded startup that focuses on helping individuals build credit while saving instead of racking up debt. They’ve been able to leverage modern FinTech to come up with a solution to every debt-free family’s conundrum: pay off debt or build credit. Incidentally, you may be thinking you don’t need a loan, and you’d be right, but there are still plenty of instances in which you’ll need a good credit score. For example, some jobs require good credit scores. Bad credit can make borrowing a lot more expensive. Credit builder loans are a bit unusual, but they work. By opening a Credit Building Account with Self Lender, you are committing to putting a certain amount of money into the account each month. Think of it as a savings account. You choose from the options available and then make the agreed-upon payments each month. Then commit to a term. Self Lender deposits the amount of the loan into a CD for you. Then you make payments for a specific amount of time. After the term is over, you can cash out the CD and either spend it or transfer it to a different type of savings account. There is no hard credit pull to get started, so signing up won’t impact your credit score at all. And, you don’t have to have credit to get started either. You simply sign up, choose your payment plan and go. Where payment plans are concerned, Self Lender works with your budget and reports your payments to all three credit bureaus. So, for every on-time payment, you make toward the account, the more your credit will improve. To get started, you’ll have to pay a non-refundable admin fee between a $9 to $15 depending on the payment terms you choose. Then, you will choose a payment plan that works for you. The site offers plans with monthly payments starting at $25 and up to $150. *** Then you select a term length of 12 to 24 months. At the end of the term, you’ll get the cash you put in. For instance, a $25 contribution for 24 months will result in a $525 payout at a 14.92% APR. Or, you can put in $89 for 12 months at a 14.62% APR and receive $1,000 in savings at the end of your term. The loans aren’t free. Self Lender charges a processing fee, and, of course, the payment structure includes interest. That said, Self Lender doesn’t charge more than 16%, which is better than alternatives like prepaid or secured credit cards, which might charge as much as 30% interest. As a side bonus, Self Lender lets you check your credit at no cost. While there are no guaranteed results, Self Lender reviews have shown the services are effective. Ready to start building your credit? Apply at Self Lender today! Self Lender reviews are generally favorable. On average, users have seen an increase of 45 points during the term agreement with Self Lender. Here are some other Self Lender reviews to give you an idea of how it has worked for other consumers. “Love love love this program and this app! In eight months my credit went up a hundred and nine points. Super happy and can’t wait to renew once the first year is up.” – Debbie G.
“I recently moved to the states and had no established credit. Using this service along with two prepaid credit cards, my score went from 4 – 710 in 9 months. 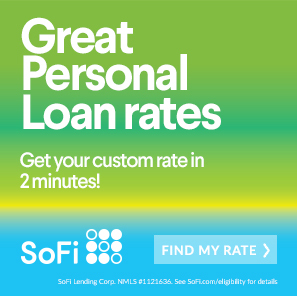 I took a 12 month term with only $50 payment per month but I’m already thinking about applying for a larger Self Lender loan as soon as this completes to further build my score and save at the same time.” – Neil M.
“Self Lender has been a fabulous service for me, as I have started building my credit history. I jumped 30 points over the period of my account, and I just got my savings I built deposited into my bank account! I’ve already signed up for second account, because it’s guaranteed saving that boosts your credit score! Thank you for making it easier for millennials without established history to become more creditworthy!” – Evan M.
“This really works…and pretty quick, too!! Score jumped 118 points in 4 months. I’m using Self Lender to build credit and save money.” – Cynthia C.
So, now there is only one question left to answer: is Self Lender the right option for you? Is Self Lender the Answer to Your Credit Troubles? Self Lender reviews also suggest the product isn’t necessarily a silver bullet. The product has the potential to improve your credit substantially, but everyone’s credit is different. The figures published by Self Lender just show average improvement in one’s credit. Some people have seen a lot of improvement in their credit; some show more modest gains. It is also not exactly clear when the credit improvements kick in. In some cases, the benefits are immediate. In other cases, it takes more time to see the gains. So, on average Self Lender reviews do show the product works, but it’s not clear if it works equally well for everyone and when its benefits kick in. Also, one important requirement is that for Self Lender credit builder loans to effectively improve your credit you need to have a stable income, and you need to have a long-term planning mentality. So, if you’re not able to secure steady employment or aren’t ready to think in a one or two-year time frame, Self Lender is probably not the answer. Other important factors to consider are frankly, your personality. Some people do better with an enforced way to improve their credit. If you treat your savings plan like a credit card payment, you may be able to save more money than you think. 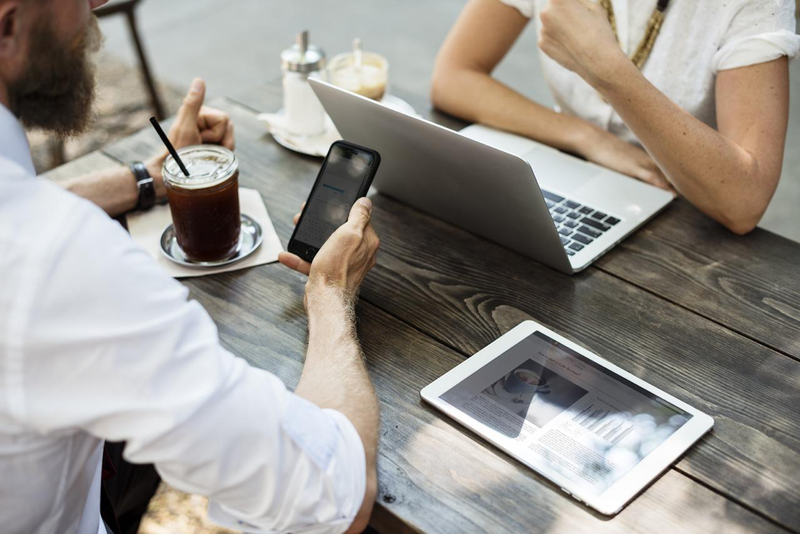 However, if you prefer a more independent and flexible approach to your personal finances, their credit builder loans might not be the optimal option for you. If you are interested in learning more about Self Lender, apply here. All Credit Builder Accounts made by Lead Bank, Member FDIC, Equal Housing Lender, Sunrise Banks, N.A. Member FDIC, Equal Housing Lender or Atlantic Capital Bank, N.A. Member FDIC, Equal Housing Lender. **Individual borrowers must be a U.S. Citizen or permanent resident and at least 18 years old. Valid bank account and Social Security Number are required. ***Sample products are $25 monthly loan payment at a $525 loan amount with a $9 administration fee, 24 month term and 14.92% Annual Percentage Rate; $48 monthly loan payment at a $545 loan amount with a $15 administration fee, 12 month term and 15.65% Annual Percentage Rate. All loans are subject to consumer report review and approval. Results are not guaranteed. Improvement in your credit score is dependent on your specific situation and financial behavior. Failure to make monthly minimum payments by the payment due date each month may result in delinquent payment reporting to credit bureaus which may negatively impact your credit score. This product will not remove negative credit history from your credit report. All loans subject to approval. All Certificates of Deposit (CD) are deposited in Lead Banks, Member FDIC, Sunrise Banks, N.A., Member FDIC or Atlantic Capital Bank, N.A., Member FDIC. We are an affiliate of Self Lender. Although this posting contains affiliate links, the review and opinions expressed below are my own.